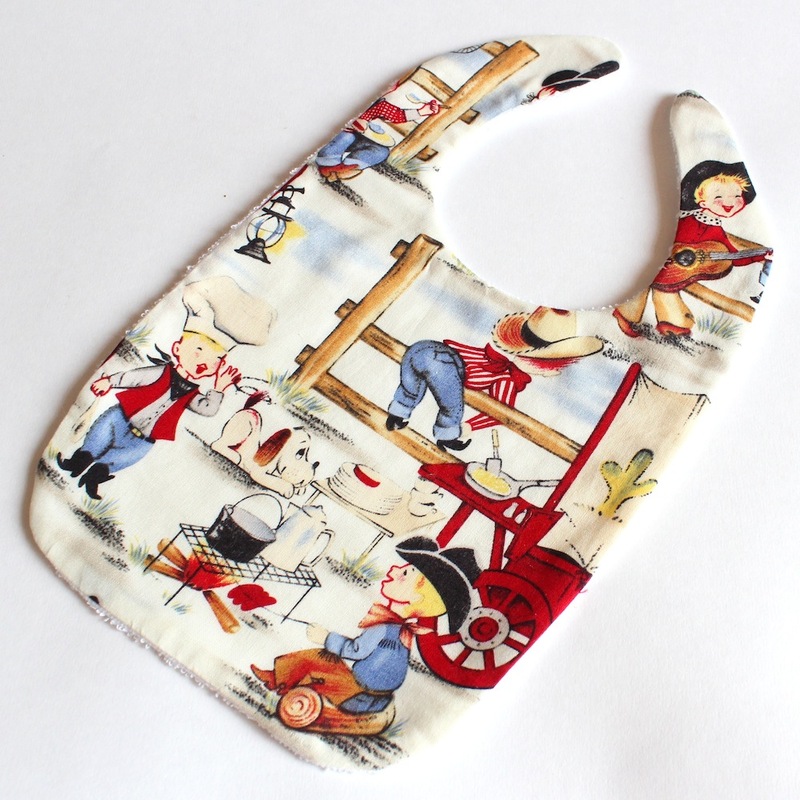 About, ooooh, five months ago I decided to make my sproglet some bibs. He was six months old at the time and I wanted a bib of a decent length to actually catch all the food he was spilling down his front as I was weaning him. 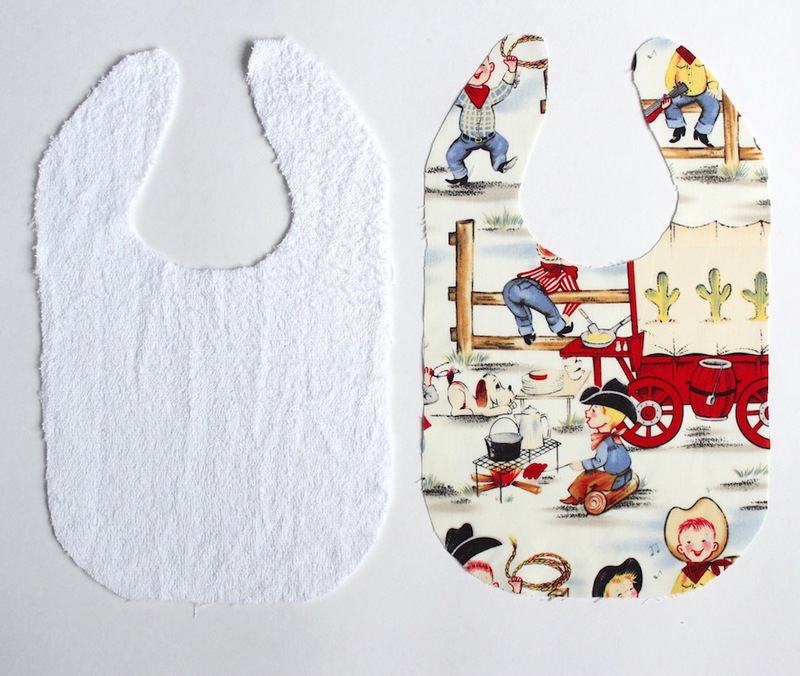 After a very perfunctory Google, I couldn’t find the right kind of pattern online, most seeming to cater to smaller dribble-catching baby bibs, so I decided to make my own. Now, I’m not claiming in any way to be any sort of sewing maven, but since I’d made the pattern I thought I’d share it here, in case it was useful for anyone else. Five months later, here it finally is! 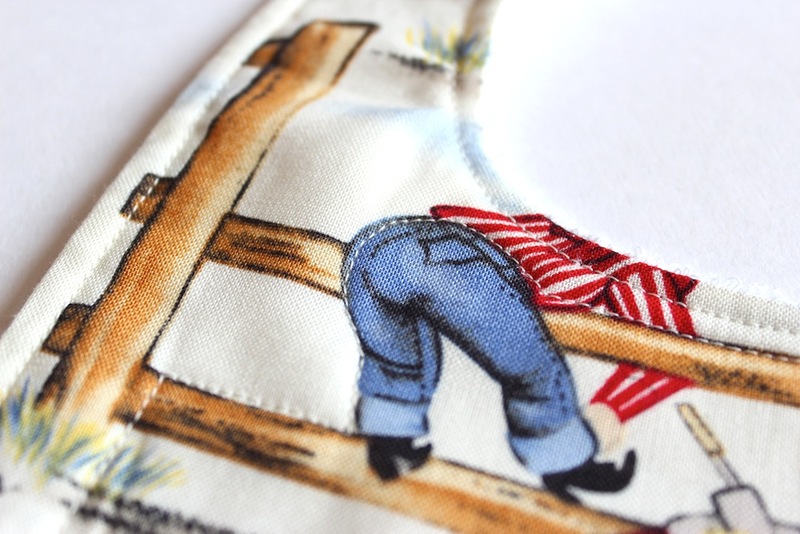 The one good thing about my ridiculous delay in getting this ready to post is that I’ve had time to trial (and repeatedly wash) my original bibs, so I’ve made a few alterations to improve their durability. 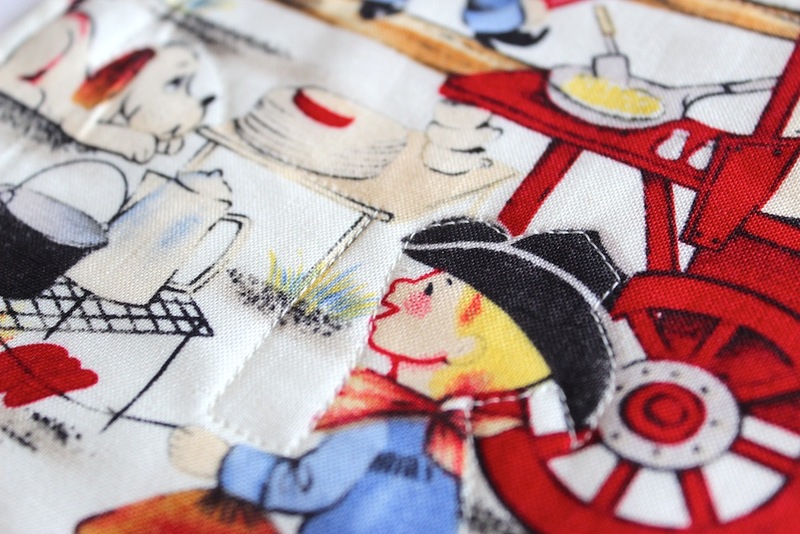 The bib has a nice cotton fabric on the front, backed with terry towelling, which I’ve found really useful as all the food spills down the front and then you can use the back to wipe your baby clean once they’ve finished eating. 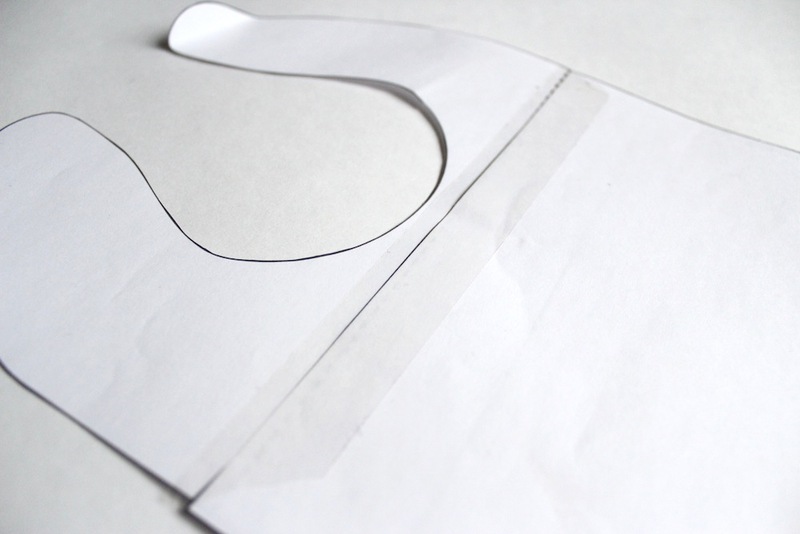 Print out the bib pattern onto two separate pieces of A4 (don’t use double sided as you need both of the pieces separately), cut out and sellotape together along the dotted lines. Notice my little tomato pin cushion? I had one left over from the tomato garland and this was a perfect use! You’ve now got a slightly puffy version of the finished bib. 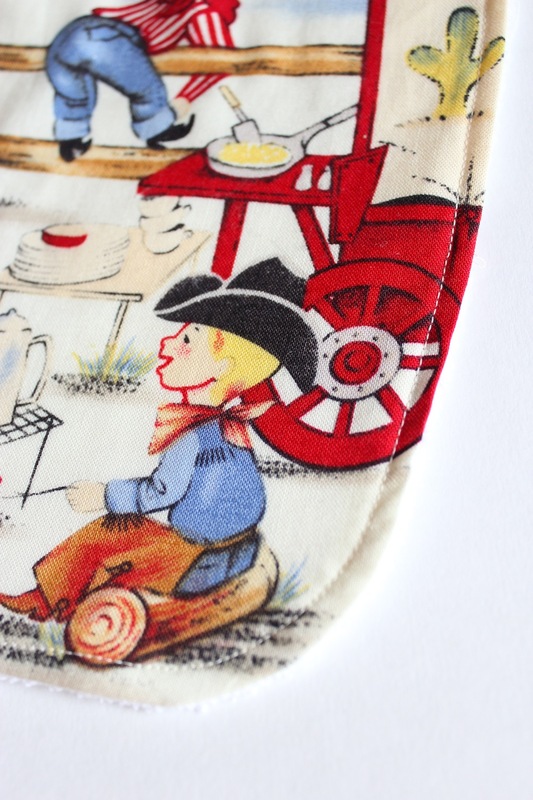 Iron the bib flat, making sure that your gap matches the rest with seam allowance. 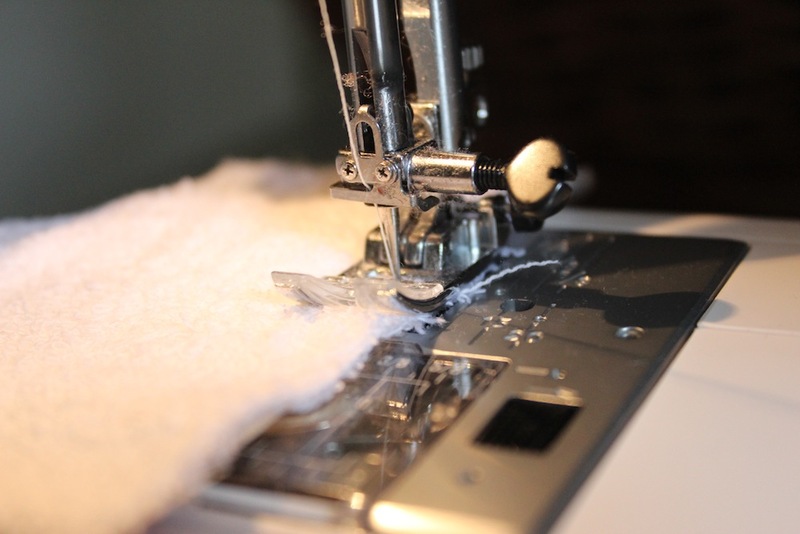 Cut all the loose threads. Now for the fastening. 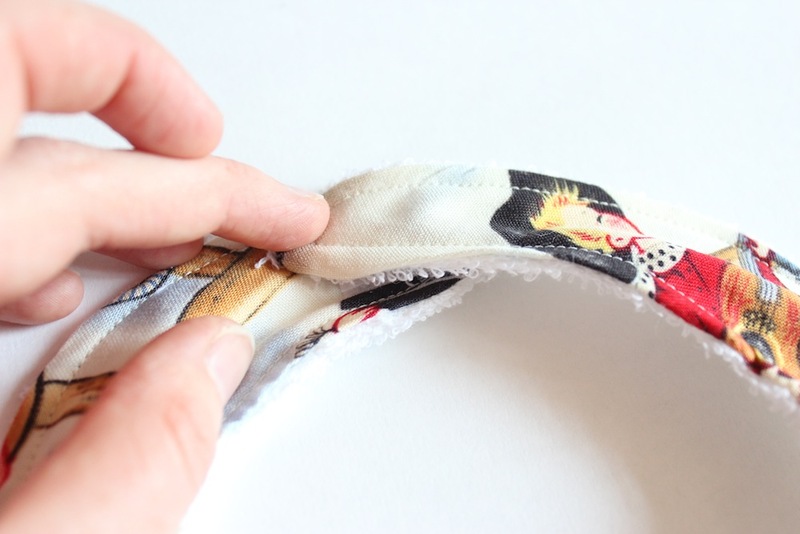 Cut a piece of Velcro the appropriate size for your neck edges. Position it in the right place and hold both sides of the neck fast. Then iron it into place, following the instructions for your brand of velcro. (Usually, this is something like, don’t iron directly onto the velcro and don’t use the steam settings. 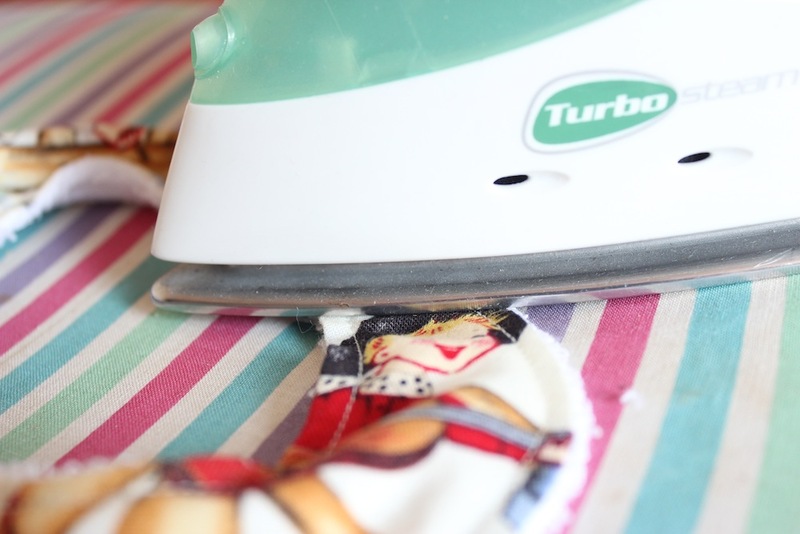 Leave the iron on place for about a minute to seal the glue.) Leave it to dry. 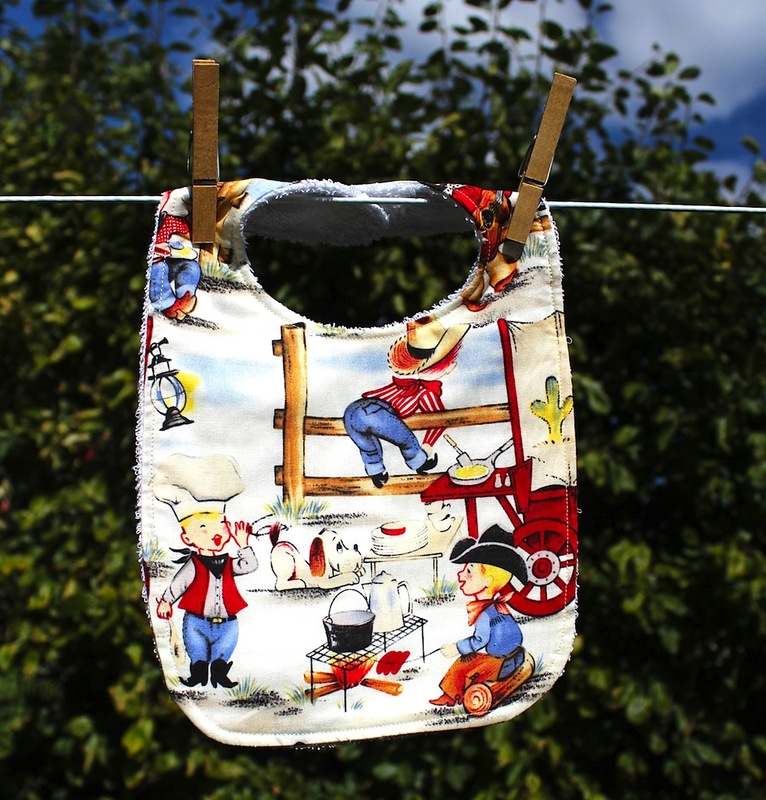 If you’re planning on putting the bib in the washing machine and tumble dryer (and, let’s face it, I doubt many people want to hand wash bibs) you might find that the iron-on velcro isn’t that sturdy. Just in case, I sewed all round the velcro as well, completing a square around the outside and then two diagonal lines across the main section as well. The baby bib all finished. Yeeeeeha! This is where bibs spend most of their time, isn’t it? And no hand sewing, result! I would have loved some of these many moons ago. Ha ha, if there was hand sewing they’d still be unfinished right now! 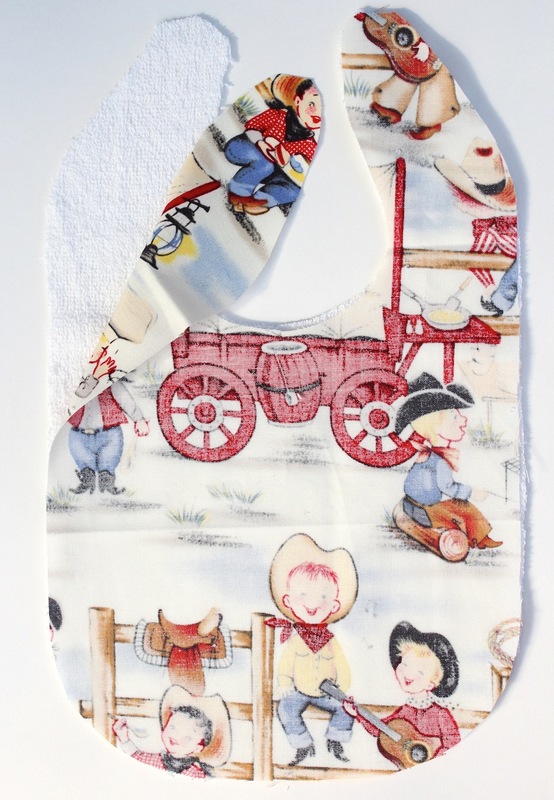 I love your bib, and thank you for the tutorial – bought some Michael Miller fabric on eBay (I love their stuff so much) and am going to try and make one. 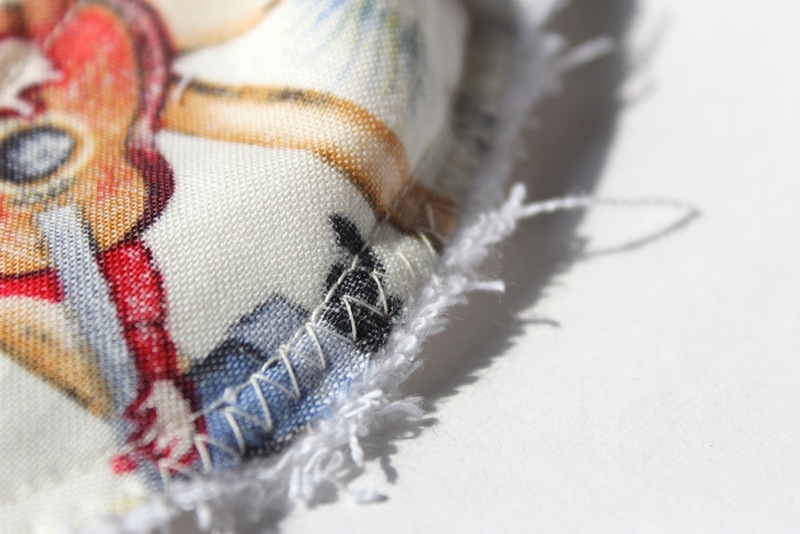 When I draw round the template, do I add seam allowance extra, or is the seam allowance in the template piece already? Thanks Barbara, that’s lovely to hear! So glad you’re going to make the bib, do let me know how you get on. 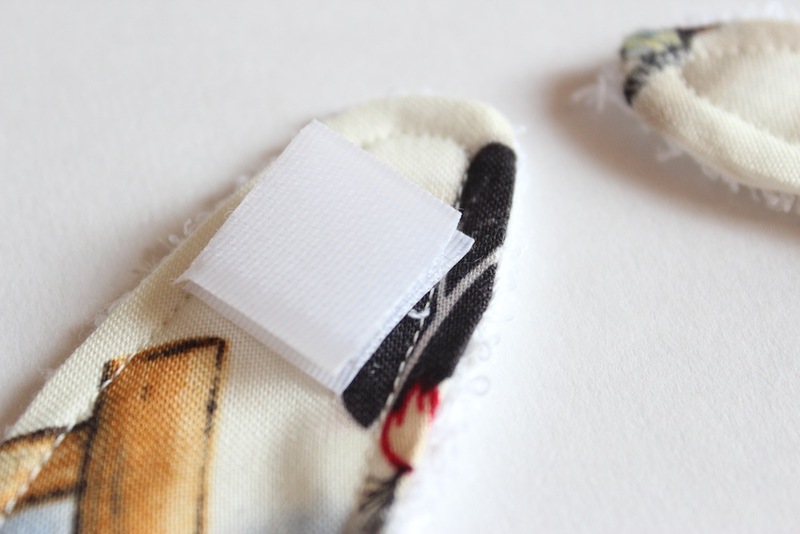 The seam allowance is already included in the template, so there’s no need to add anything extra on… Hope everything else makes sense! Sooooo cute!!! I’m going to try making one this weekend. How many of these can I make out of one yard of fabric? She loves her bibs, especially when they have a picture of a child on them. That is the fabric I will use. Thanks. 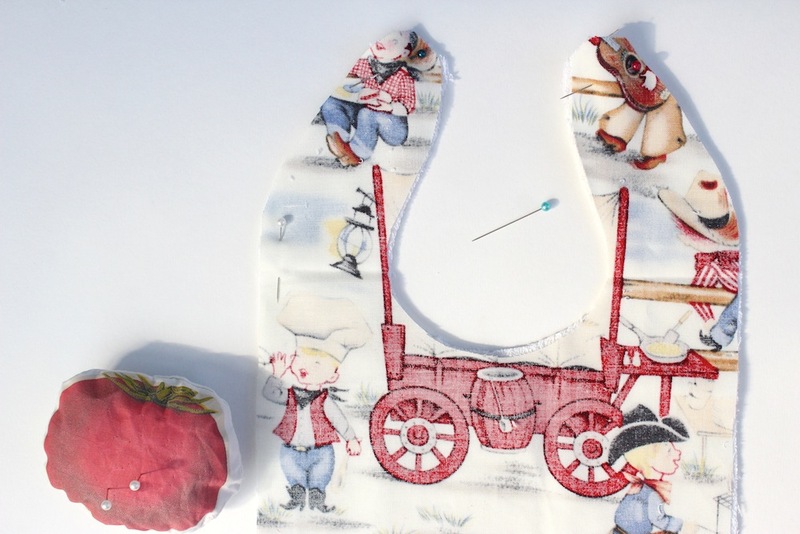 I really love this tutorial as well as the fabric that you have used. 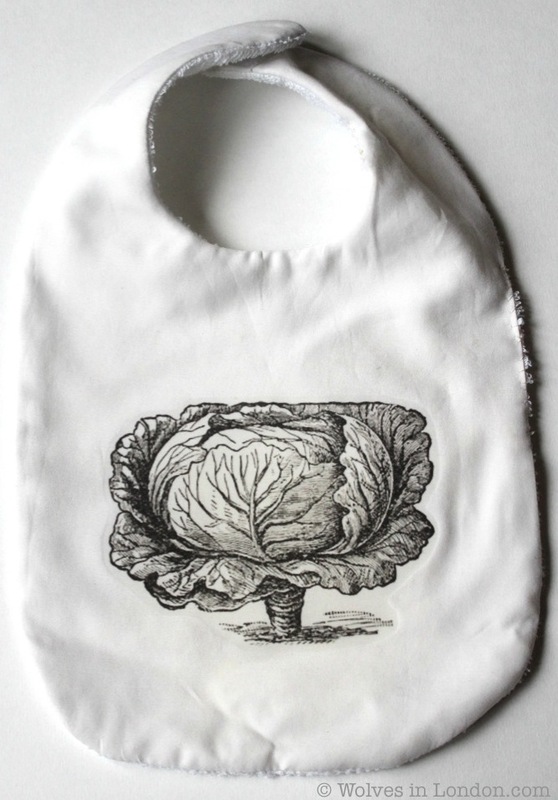 I’m pretty much sure that this bib is lovelier than those in the store. The steps are very easy to follow. Many beginners can have a very good start through this pattern. You could always put quite a long bit of velcro on, so that it could be adjusted around the neck, or a couple of different poppers? Great bib tutorial. I like your design. 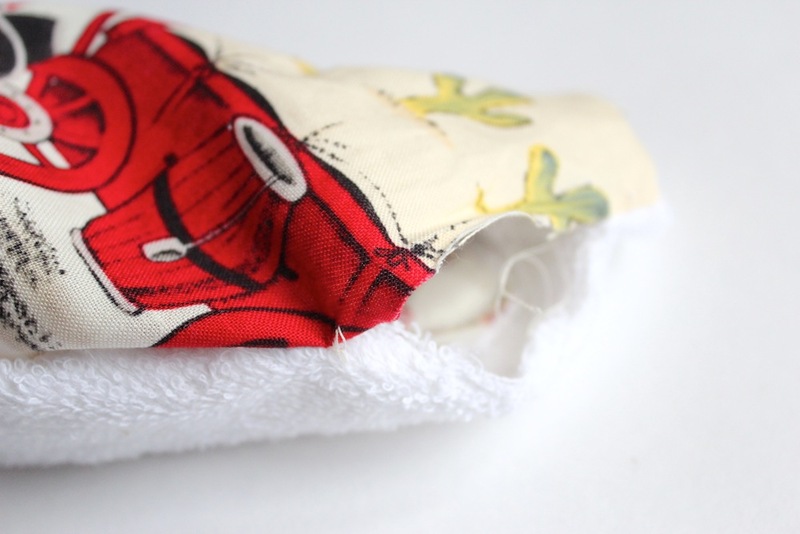 I actually suggest that instead of using velcro a snap would be much better closure since it won’t easily be pulled of by the baby. What do you think? Thanks very much, glad you like the design! Yes, you could definitely use a snap closing instead. 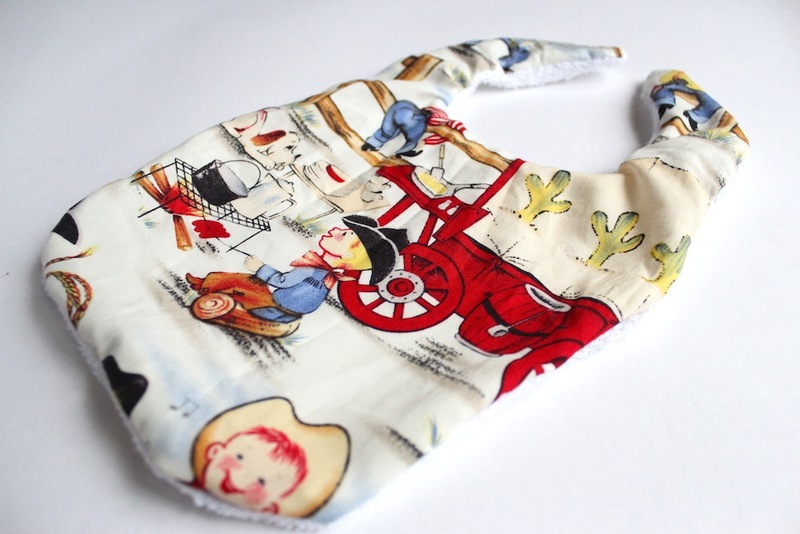 Personally, I get a bit squeamish about having things round babies necks, so I prefer it to just come undone if they pull on it really hard, but I know I’m probably being a bit over-cautious on this one! Hi Sabrina, Can not wait to try this, my only question is where did you find the towelling fabric and was it a decent price?